People seem to think because we live in downtown Los Angeles we have little to no access to fresh foods and produce. Which, I think is silly. Sure we have no Whole Foods, Trader Joe’s, Co-Op, Sprouts, Erewhon or even VP Discount Health and Food Mart (though I must say, I trek it here every now and then for amazing deals, they truely are discounted from their competitors), but we have MANY farmers markets that offer an amazing spread of fresh produce and meats. And to top it off, we have organic markets located in the heart of our community. Two Bits, Om Nom Organics, The Artisan and soon to be Urban Radish opening in a couple of months. 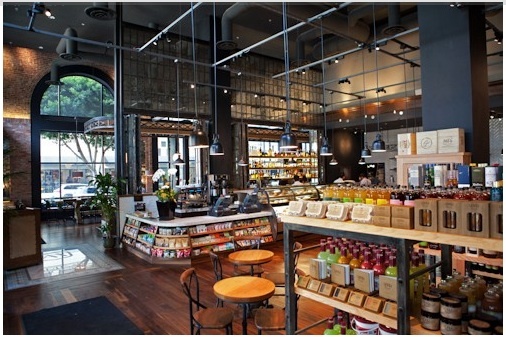 Plus, Ralph’s actually offers a huge variety of organic produce and pre-packaged foods. Two Bits Market located on 5th street (the nickel) is small, but offers fresh local organic foods, produce and organic packaged foods as well as organic coffee, cheeses, and made to order sandwiches. I am always finding my way to Two Bits for more avocados and day old bread for half the price. It’s a bargain! 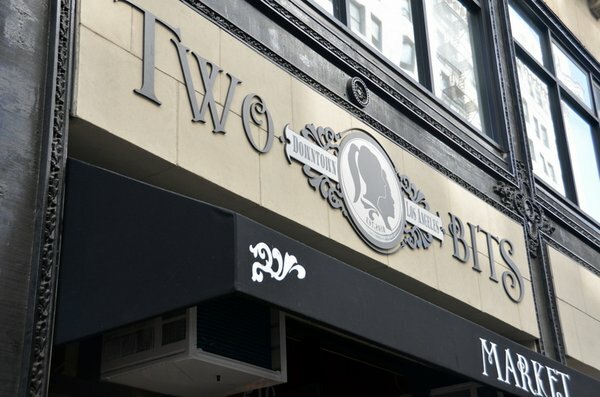 Two Bits Market~ Fresh. Local. Organic. on 5th between Broadway and Spring. 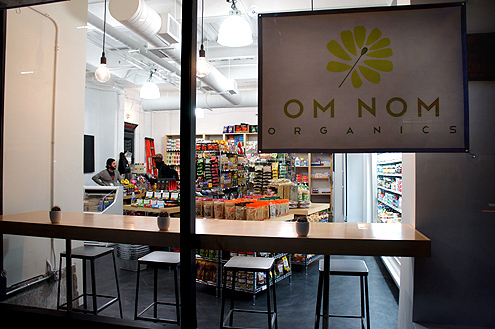 Om Nom Organics is a convenient mini market that offers all organic pre-packaged foods that are free of pesticides and toxins. Think mini Whole Foods. Everything for every meal. From pancake mix to pasta and sauces. They have a large assortment of organic teas, toddler goodies and needs, household cleaning products and needs, and even carry Babycakes! In addition to the market they have fresh foods to go! Conveniently located under the Eastern Columbia Building on 8th Street. Plus, they deliver! what? yes, they deliver in DTLA, so really there is no excuse for not eating healthy. click here for the menu. Om Nom Organics on 8th near Broadway. The Artisan House located on Main Street and 6th is another mini market that offers only in-season local organic produce. As well as a variety of organic pre-packaged foods and local cheeses and meats. In addition, they house a mini liquor store of beer, wine and liquors. 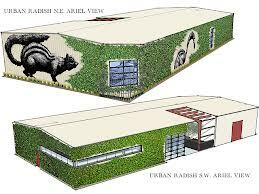 Plus, it’s attached to their restaurant with indoor and outdoor seating. Perfection! I say. Artisan House on Main and 5th. 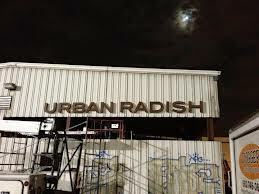 Urban Radish is coming soon. Follow their story on facebook here. But with 8,200 sq.ft. of space, this is fantastic news. Said to be slated to open May 29th. Fingers crossed! This is going to be a great addition to the organic local fresh food movement. Ralph’s located on 9th between Flower and Hope Street is the largest of markets in the area. I am happy to say they offer a huge variety of organic fresh local produce as well as organic prepackaged foods. So if you find yourself in this gigantic market fear not, they have organic foods, too. Grand Central Market located on Broadway has fresh local produce as well, though I am not sure about organic. I ask and ask, and every time I go I get a different answer. Oh well, at least it’s local right? Though it is heading into a revival with many retailers selling organic and free range foods like Sticky Rice. Then we have our Farmer’s Markets!!!!!! 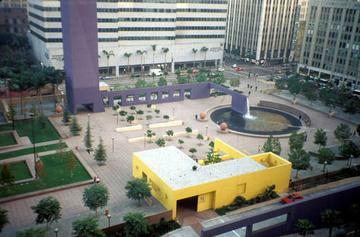 Wednesday~ Pershing Square 11:30am-2pm (my personal favorite). Thursday~ Fig at 7th 9am- 3pm (Above Target) & City Hall 10am-2pm (on 1st and Spring St.). 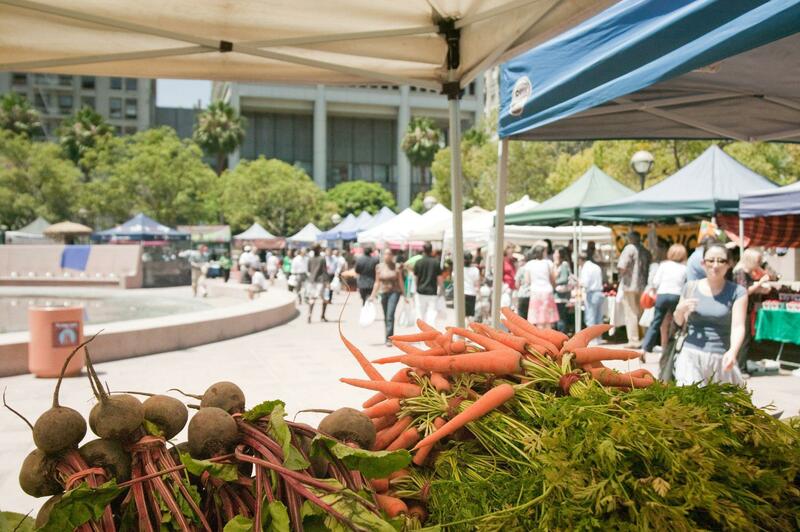 Saturday~ trek up to Echo Park‘s Farmer’s Market 3pm-7pm. Sunday~ Historic Core on 5th street between Spring and Broadway. This is another treasure of farmer’s markets. 9am-1pm. The weather is warming up Angelenos. How do you spend your sunny SoCal days? Are you an early morning riser or a late night owl? My loft has huge windows that let in an insane amount of early morning light which has me waking earlier than I ever would have on my own. I used to consider myself a late night owl, but now a days I think I am swaying towards the early risers. Watching the sunrise or at least catching a glimpse of the sun just after it peaks the horizon is magical! The sky looks as if someone painted it with watercolors. As soon as I get up the first thing I do is open the windows wide and let in the morning air, so crisp and cool before the day takes over with its blanket of heat. Enjoy the sun in whatever way you can. Even if it’s only for a moment to close your eyes and soak up the rays, take that moment for yourself, your soul will thank you. Happy Blue Skies to you all… enjoy the California sunshine. 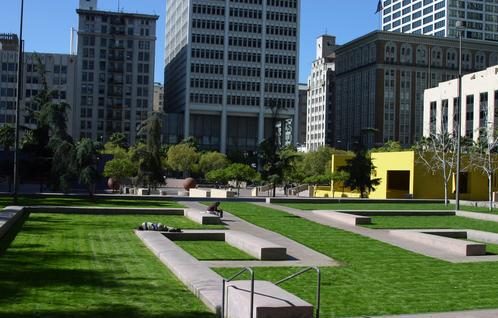 Pershing Square’s only grassy area. 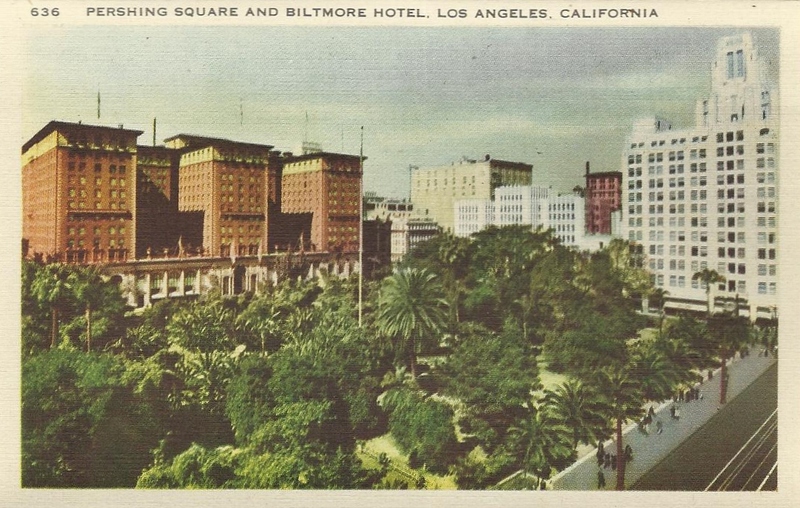 Pershing Square today. What happened to all the greenery? It will be nice when they finally redesign the park. Too much is concrete.